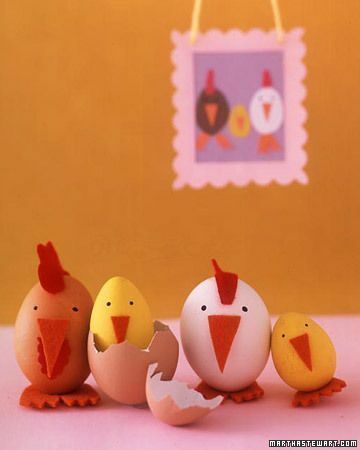 Look at this adorable family of Easter chickens! Just a few hard boiled eggs, some shells, a bit of food coloring, and construction paper make for an excellent table top holiday display. This is one the whole family will love, from your youngest to your elders!